Are your TV show 'to watch' lists growing out of hand? 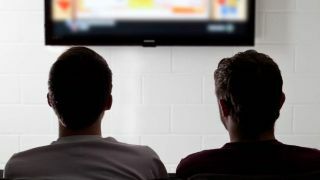 Don't worry, it's not all your fault, as a new study has found that there were more scripted television shows available in 2015 than ever before. To put it into a number, there were 409 scripted TV shows available across broadcast, cable and online services, according to a new study from FX Networks research department. It adds up to be nearly twice as many scripted shows as there were in 2009, which only had about 211. "The unprecedented increase in the number of scripted series has reached a new milestone in 2015 with a record 409, nearly doubling the total in just the past six years," said Julie Piepenkotter, executive VP of FX Network's research arm. "This statistic is staggering and almost unimaginable from where they were a decade ago." While streaming services, including Netflix, Hulu and Amazon Prime, have definitely contributed to the increase (2014 had 27 shows from these services, while this year saw 44), the other biggest increase has come from basic cable networks, which includes DirecTV. There were 169 scripted shows from basic cable networks in 2014, while 2015 had 181. However, back in 2009, there were only 66. Meanwhile, both broadcast and pay cable have only seen small jumps over the year, but have still increased the amount of content they put out. All this basically amounts to there being more choices in scripted TV shows than there have ever been, accessible from more services than there have ever been, too. And while we may be at the peak of TV content - a golden age, in many ways - there's still a lot more growth to be had it seems. Netflix, for instance, has announced it will introduce at least another 31 news shows next year.